When a practice is perceived as being out of compliance with the law, it is often a telephone call from an insider that brings the matter to the attention of the authorities. A fairly recent decision of the Illinois Appellate Court highlights the importance of legal compliance for all veterinary hospitals. The case involves Illinois veterinarian Gary R. Friederich, owner of Park Forest Animal Clinic and Summit Animal Hospital, and his ongoing dispute with Lawrence Draus, a member of the Cook County Sheriff’s Police Department. Officer Draus, who worked in the department’s Animal Crimes Unit, carried out an undercover investigation of Dr. Friederich. Draus’ sleuthing resulted in a raid of Friederich’s Park Forest facility, the loss of his federal DEA controlled substance license, the temporary suspension of his veterinary license, misdemeanor and felony charges against him, and three separate arrests, one of which resulted in Friederich being held in custody overnight. Further, he was indicted by a grand jury for felony unlawful delivery of a controlled substance. But the case had some unusual twists. First, Friedrich succeeded in getting the felony count dismissed. Second, for reasons that are unknown, the State declined to prosecute the remaining misdemeanor charges. And third, Draus, who Friederich claimed had a vendetta against him, resigned from the Sheriff’s Office after pleading guilty to federal conspiracy to commit extortion charges. Hmmm. Prior to the undercover investigation, Friederich had provided an affidavit in support of two dog breeders who were challenging Draus’ warrant and raid of their business for purported animal mistreatment. In Friederich’s view, Draus launched the undercover investigation of his Park Forest veterinary facility to retaliate against him for supporting the dog breeders in their challenge to Draus’ authority. Based on this suspicion, Friederich sued Draus, another officer who participated in the investigation, the Cook County Sheriff, and Cook County itself. Friederich sought monetary damages for malicious prosecution and intentional infliction of emotional distress. However, despite the sketchy circumstances, the court entered summary judgment in favor of Draus and the other defendants, and the decision was affirmed on appeal. Why did the case turn in this direction? The most critical fact may have been this: two individuals had contacted the Animal Crimes Unit prior to the investigation to provide tips about Friederich. The first was the kennel manager of a local humane society. She reported that dogs would arrive from Friederich’s clinic with receipts stating that the dogs had received “shots.” However, the receipts failed to provide any information concerning the actual medications administered. The second tipster was one of Friederich’s employees. She reported that animals brought to Park Forest for vaccinations had been sold rabies tags and certificates but had not actually been vaccinated. These tips led the court to conclude that Draus had “probable cause” to pursue his investigation of Friederich and, as such, was not liable for malicious prosecution. They also helped to convince the court that the investigation was not “extreme and outrageous,” resulting in the dismissal of Friederich’s claim for intentional infliction of emotional distress. 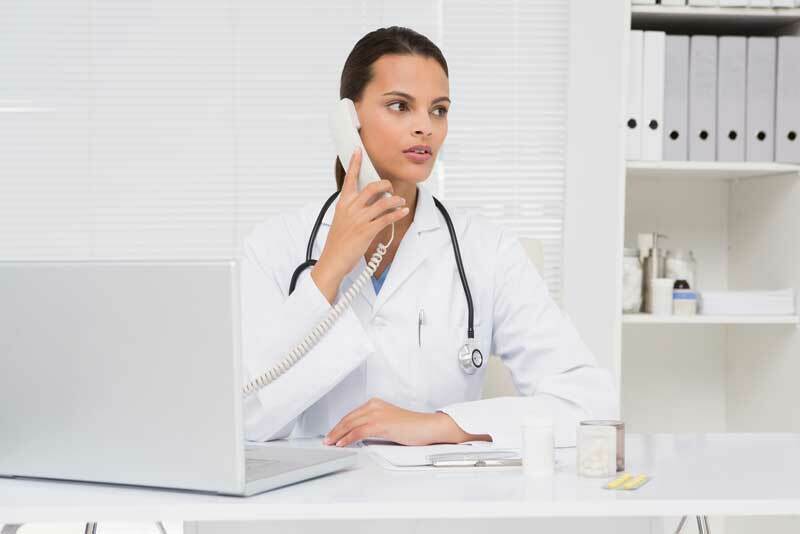 These tips illustrate a critically important point for all veterinary practice owners: All it takes is a single telephone call. More specifically, when a practice is perceived as being out of compliance with the law, it is often a telephone call from an insider that brings the matter to the attention of the authorities. This occurs frequently in the area of wage-and-hour compliance. Perceptions that a practice is failing to pay required overtime, ignoring legally mandated rest or meal breaks, misclassifying employees as independent contractors, and so on are likely to lead to such telephone calls if left unaddressed. And one telephone call can open Pandora’s Box. In this regard, the U.S. Department of Labor (DOL), the IRS, and many states maintain information-sharing arrangements to facilitate the enforcement of state and federal employment laws and associated tax laws. In addition, some states have similar arrangements among their various regulatory agencies. For example, in Massachusetts, 17 such agencies formally collaborate to bring businesses and individuals into compliance with applicable state laws. Suppose a kennel worker calls the DOL to report that the practice fails to pay required overtime. If, in the course of its investigation, the DOL notices that Form I-9s are not properly maintained, it may share this information with U.S. Citizenship and Immigration Services, which could commence an audit of I-9 compliance. If this agency, in turn, observes that payroll taxes are not being properly withheld, it might share this information with the IRS, which could commence an audit of withholding practices. Where this stops, nobody knows. The trick for practice owners is to create a workplace free of even the perception that tips need to be reported to the authorities. A good starting point is the preparation and maintenance of an appropriate employee handbook. This demonstrates to employees that the practice is serious about its compliance obligations, willing to be transparent, and committed to the evenhanded enforcement of its policies. Fostering a culture of openness and active listening is also important. If an employee feels strongly enough about a workplace matter to bring it to your attention, how long should you expect her to wait silently for an explanation or a fix? If the employee feels ignored, then she may be tempted to pick up the phone. In this internet era, in which agency complaint hotlines can be found with the click of a mouse, the risk of such calls is greater than ever. Finally, if you have questions or concerns about any of your compliance obligations—or about employee rumblings—consult with experienced legal counsel to develop best practices and appropriate strategies. Nobody ever said that owning a practice would be easy, but we all sleep better at night knowing that we have minimized our risks.